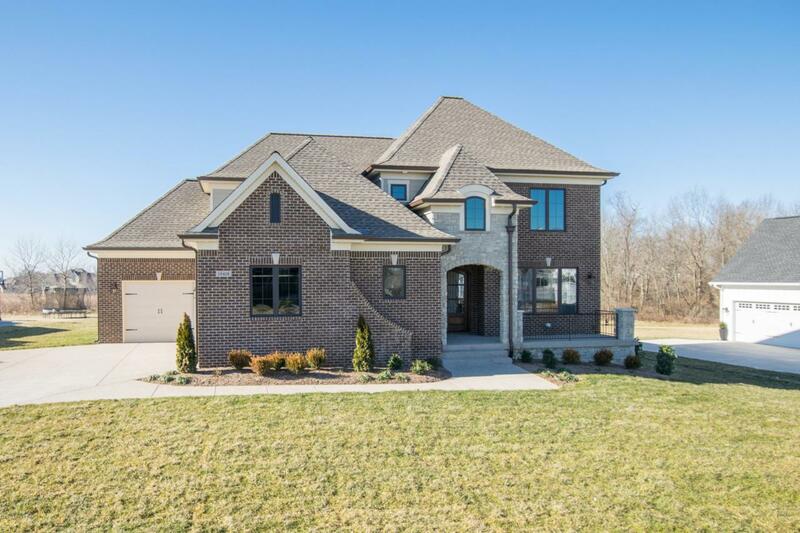 Located in scenic Poplar Woods, the stunning conservation development tucked within rolling acres of Oldham County, this gorgeous stone and brick two story is newly completed and move-in ready! 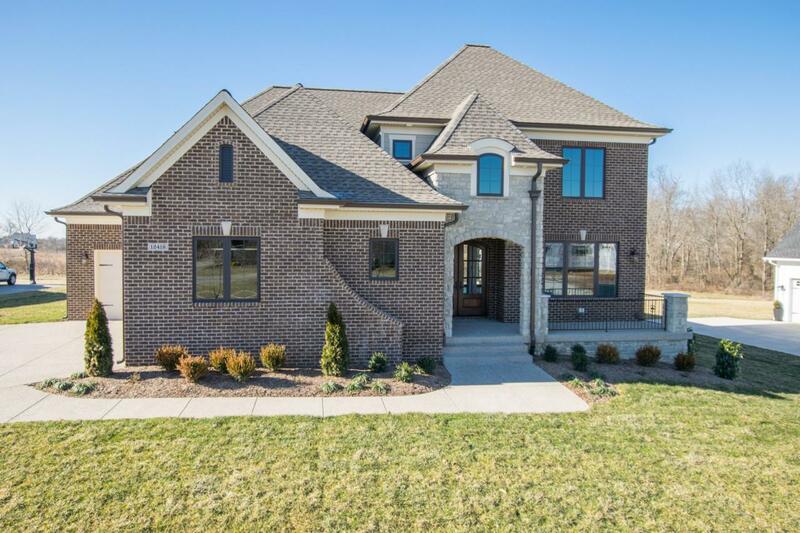 Featuring a desirable open floor plan, designer finishes and beautiful trim detail, this custom-built home is the opportunity to own a brand new Poplar Woods home without waiting on the construction, allowing homeowners to immediately begin taking advantage of the award-winning North Oldham school district and enjoying the fantastic community. From the stunning French door entry, guests are greeted into the home by a bright formal dining room with triple windows, elegant wainscoting and sleek hardwood floors that continue throughout the first floor of the home.The dining room folds into the spaciousgreat room with coffered ceilings, gas fireplace and convenient built- ins before opening into the welcoming eat-in kitchen. The home's gourmet kitchen features top-of-the-line appliances, subway tile with designer backsplash, walk-in pantry, large eat-in island and windowed breakfast room. The first floor master suite includes master bedroom with vaulted tray ceiling, his and her walk-in closets and a master bathroom with soaking tub, oversize shower and dual vanities. The first floor is complete with a convenient drop-zone, laundry room, powder room and three-car attached garage. The second floor features two spacious bedrooms with walk-in closets and Jack-and-Jill bath, as well as an additional bedroom with en-suite bath and walk-in closet. The lower level offers a family room with designated bar area, bonus room perfect for an exercise room or office, full bath and plenty of room for additional storage. 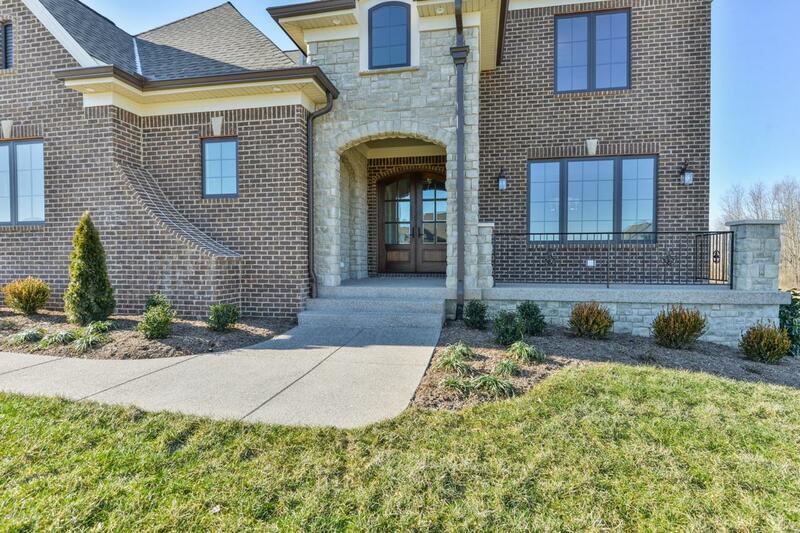 This stunning home also features an incredible outdoor entertaining area with columned covered porch, stone fireplace and wood-panel ceiling.